Oct - 03 | By: burkjackson | no comments. Design Week Portland kicks off next week coming up Oct 9-13th, to showcase all the diversity and talent within the City of Roses. The densely scheduled exhibition of Portland design talent—visual, film, fashion, furniture, letterpress, architecture, and beyond—has galvanized the creative masses in Portland to fling open their doors, network their asses off, and generally show off. 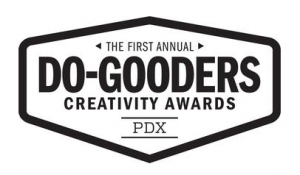 On the night of opening day, at the Cleaners, there’s a kickoff party that also marks another new first: The 2013 CreativeCares Do-Gooders Awards. Hosts CreativeCares “connects nonproﬁts with creative volunteers so that together they can achieve a louder voice, a bigger presence and a greater ability to tangibly change the world.” In other words they link non-profits with professionals willing to do pro-bono work in fields like film, photography, social media strategy, web design, event planning, etc. The awards will honor people who’ve lent a hand in such a way, setting a noble tone for the first-ever design fest. Of course there will also be plenty of refreshments, music from DJ Nature, and a preview of events to come. Mostly Design Week is free or close to it, but they’re asking for a donation for the kick-off, which you can get handled right over here. Advance tickets are sold out but, just between us, get on the waiting list because more tickets are rumored to be released on Friday. This is certainly an event not to be missed! Credit to Marjorie Skinner for the original article.